What’s On Your Product Pages? | ASTRALCOM - Content Strategy, Conversion Marketing and Customer Acquisition. What’s On Your Product Pages? There are about 20 things that could or should be present on e-commerce product pages. The 20 things can be grouped into three basic categories: Anxiety Reduction, Information, Value. This is actually part of the customer conversion process and where we often get to employ the Mathemagical Customer Conversion Formula. 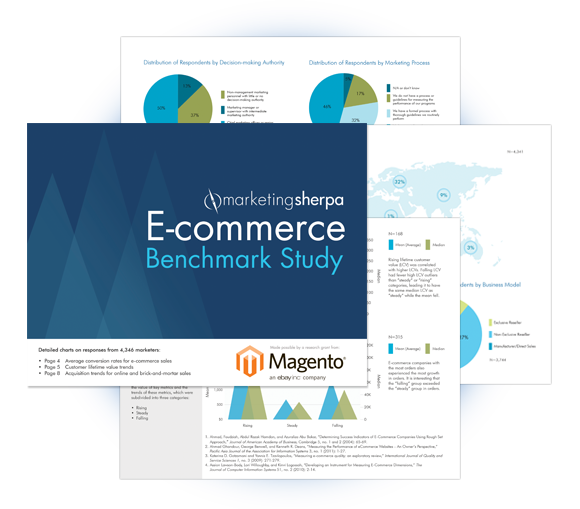 Check out the MarketingSherpa Ecommerce Benchmark Study and learn about the 20 items your product pages need. Then call us at 800.536.6637 or click on over to our website and let us help you create a source-to-sale pathway that would be the envy of your competition. What Does A Customer-First Business Look Like?